LAHAN, March 17: A meeting of Alliance for Independent Madhesh (AIM) is starting Sunday to chart out its future course. The meeting of the outfit is taking place for the first time after its leader CK Raut signed an 11-point agreement with the government on March 8. Eyes are on the meeting in the context of both the government and the AIM interpreting the agreement in their own ways. 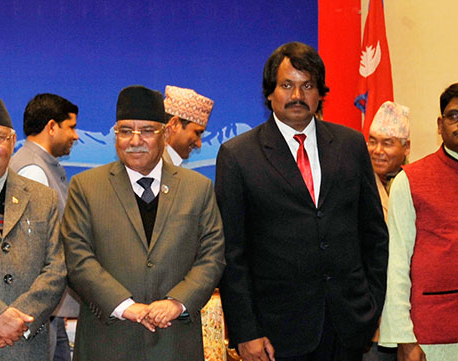 Although the government negotiators say the agreement was signed after Raut agreed to renounce the demand for secession of Madhes from Nepal, his supporters have been claiming that the government has agreed to hold a referendum on secession. AIM leader Sudip Raj Kushwaha informed that the meeting was called to chart out the party's future course after the signing of the 'historic agreement' with the government. The outfit's leaders said they have issued a circular to all those participating in the meeting to bring their Nepali citizenship cards. All district committee members are attending the meeting. Kushwaha said the party will focus on expanding its organization in the southern plans. “A plenum will be called shortly after the meeting,” said Kushwaha. 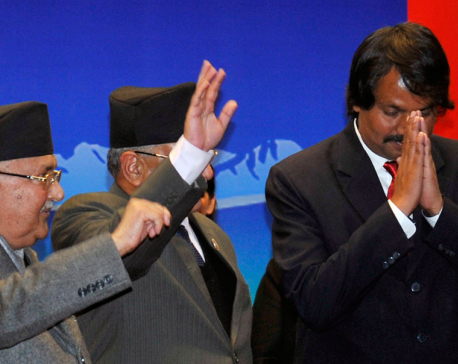 The party has scheduled a "public felicitation" of its leader Raut for Tuesday.